Joint MAX® Triple Strength (TS) Chewable Tablets is recommended for joint health with powerful active ingredients that enhance the functions of joint and connective tissue as well as antioxidants to help reduce oxidative stress. The Joint Max TS proprietary blend was selected to target every aspect of joint health: lubrication, cushioning of tissues, and support of cartilage, connective tissues, and bones. This powerful joint supplement is intended for older or middle aged large dogs or smaller dogs with maximum joint health needs or soreness from daily activity or exercise. The ingredients in Joint MAX, Glucosamine and Chondroitin, work together to support joint health by supporting the structural integrity of joints and connective tissues. Joint MAX is a highly palatable supplement. Joint MAX can be given with prescription drugs. Available in a variety of formulas, Joint MAX� supplements deliver customized support to match the specific health needs of your pet. Joint MAX comes in three strengths and a variety of delivery methods for easy administration. 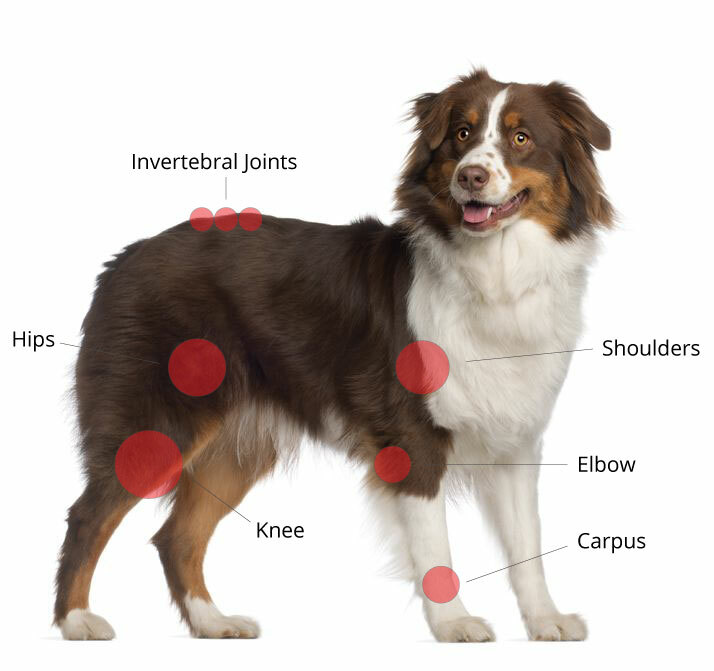 There is a proper strength of Joint MAX for every size and breed of dog, cat, and horse that needs it. Joint MAX also offers a Hypo-Allergenic (HA) formula specifically designed for animals with sensitivities to known allergens or animals on restricted diets. The Hypo-Allergenic formula is free from the top 9 most common dog allergens: beef, corn, soy, wheat, dairy, chicken, lamb, rabbit, and egg.